The south-facing slope at Pleasant Valley Conservancy is a good example of a bluffprairie. Such bluff prairies are common in the Driftless Area. However, although most of these sites are called “prairie”, most of them are actually bur oak savannas. In a well-restored site, fire is the principal management tool, but there are significant difficulties when trees are present. Because of the steep topography (slopes up to 75 degrees), even in the absence of wind, head-fire flame heights can be 15-20 feet (occasionally even higher). The bur oak trunk is very fire resistant, but its branches are less so and with high flame heights can be easily damaged. Thus, despite the recognized fire tolerance of the bur oak, even large trees can become seriously harmed. When we first started burning the South Slope at PVC, the fuel was very spotty and fire did not carry well, so we mostly burned as a head-fire. 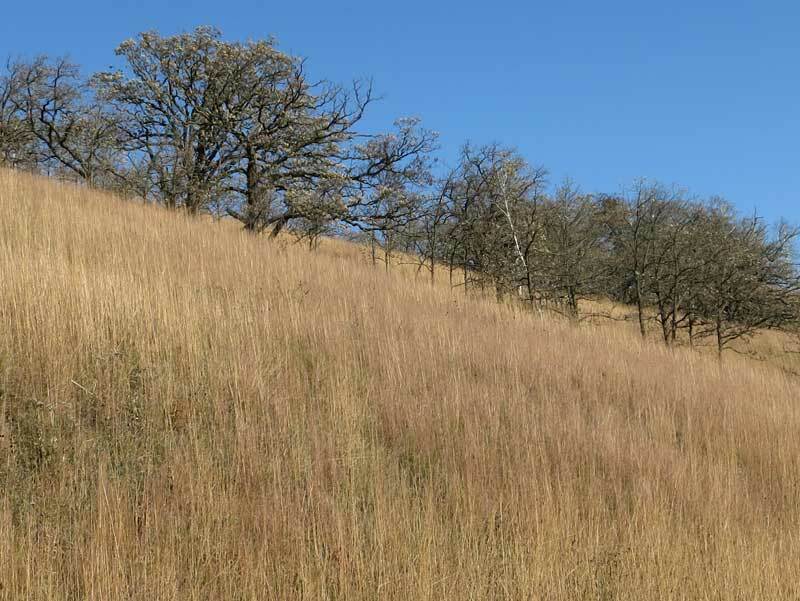 Annual burns, accompanied by brush control and overseeding, gradually turned the South Slope into a tallgrass savanna. 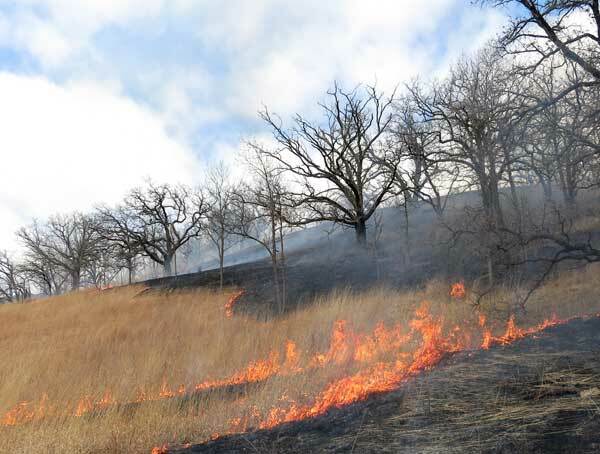 It was about burn year 5 that fire with high flame heights carried up into the bur oaks. Lots of branches caught on fire, and mop-up was a major problem. 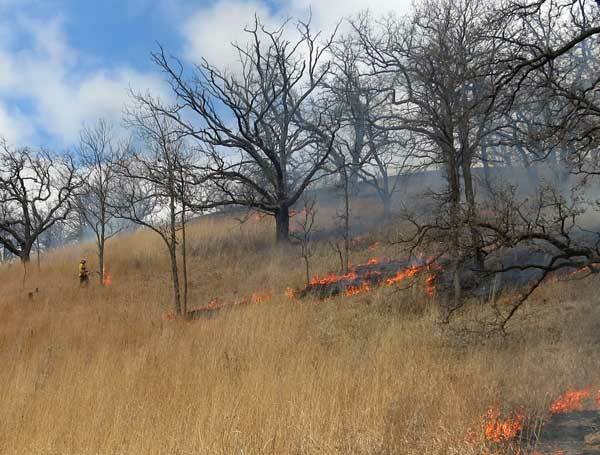 Since then we have tried to back burn the South Slope, especially its bur oak component. A few years later we added tree-centered spotfiring as an additional protection, especially for the smaller trees. 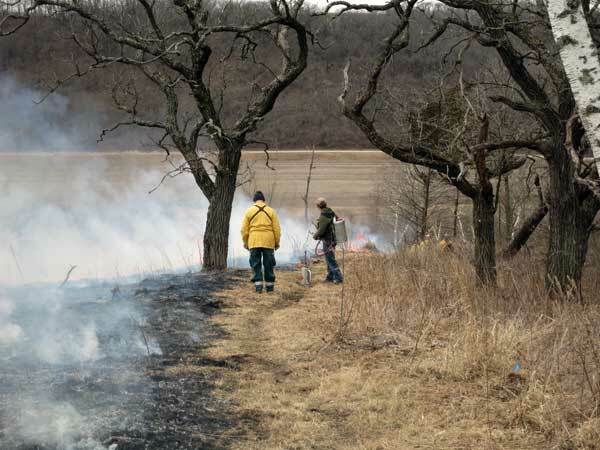 The photos below show how we did the South Slope burn this year. Starting the burn at the top of the South Slope. Depending on fire behavior, a second drip torch may be used to speed up the process. Above: Tree-centered spot firing small bur oaks. 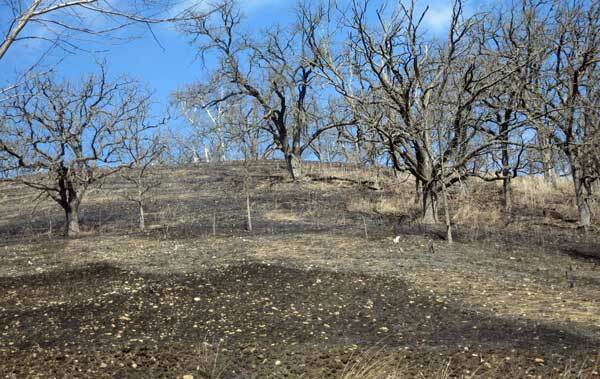 The blackened area protects the saplings from a possible head fire. Above. Later stage. The blackened areas have grown larger. Above. Later stage. 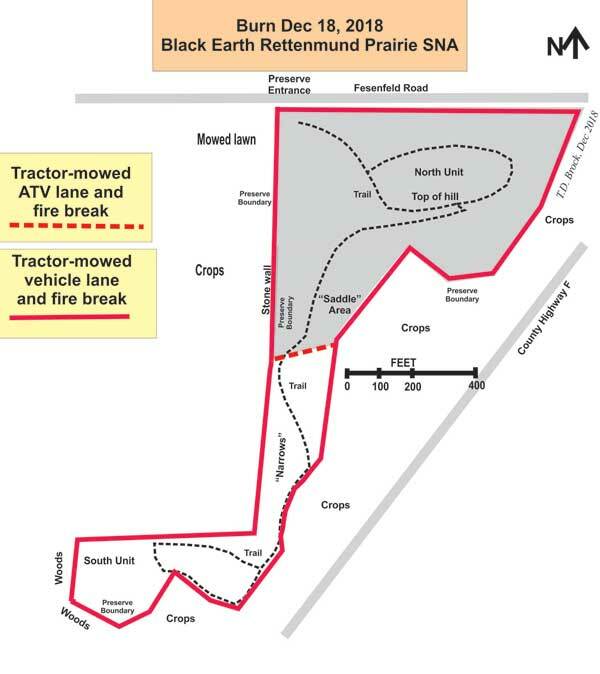 The black areas have coalesced and the continuous fire line is backing through the tallgrass prairie. 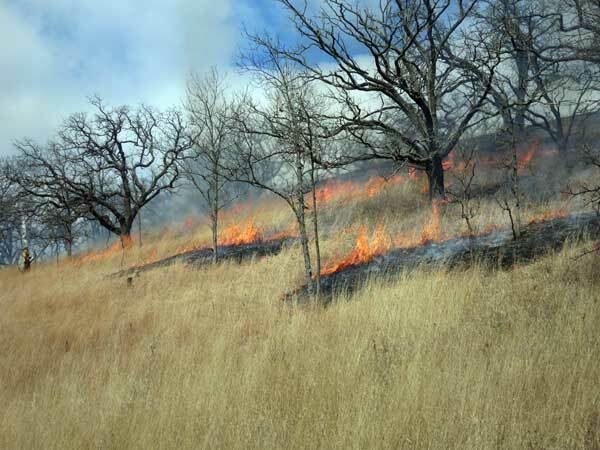 Once the bur oaks are completely in the black, the burn can be speeded up by lighting a head-fire from the bottom. The bur oaks are now "safe" in the black. The lower area is darker because it was burned as a head-fire. The burn was done on March 21, 2019. Amanda was the burn boss. Once we got seriously into prairie/savanna restoration, I kept track of the work by measuring the acres restored. It was easy to do with a Garmin. I just walked around the periphery of the area cleared each year with the GPS area routine on, and then pushed "calculate". Having these numbers was really important, because it helped in setting budgets and goals. The graph here summarizes eight years and 70 acres of work and the air photo gives a concrete look at what has been accomplished. The air photos make the process seem more real! Read the link from UW-Madison news service. Kathie and I really appreciate the kind things said about Pleasant Valley Conservancy. It makes the past 20-some years of work worth it! We are announcing the availability for free download of a new book which should be of interest to restoration ecologists. It was written by Thomas D. Brock and Katherine M. Brock and is based on their extensive restoration work at Pleasant Valley Conservancy. 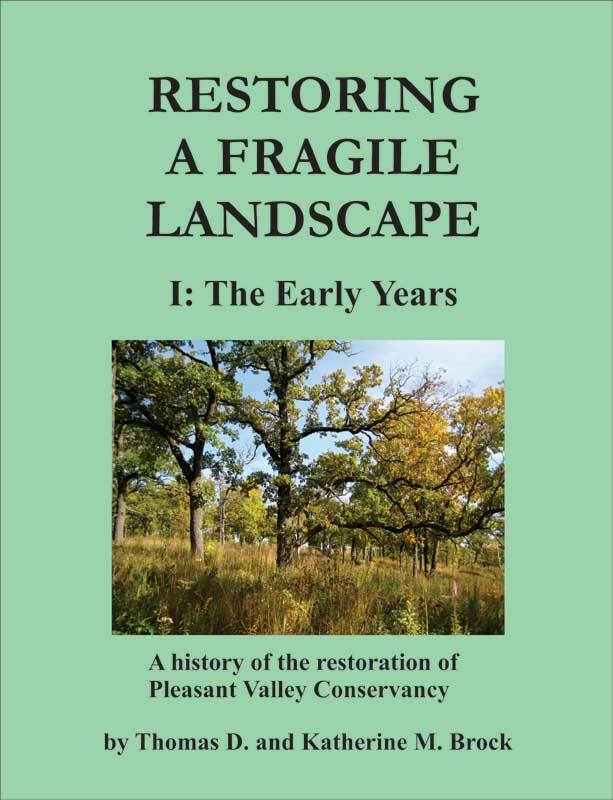 This book is the first volume of what is intended to be a two- or three-volume presentation of the 20-year restoration history of Pleasant Valley Conservancy, a 140-acre dedicated State Natural Area. Pleasant Valley Conservancy is a natural area in Wisconsin’s Driftless Area with diverse habitats: tallgrass prairies, oak savannas, oak woodlands, and wetlands. It was once fairly degraded but has a large number of venerable oaks that have survived from presettlement days. 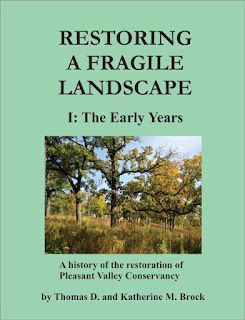 Although this book covers all aspects of the restoration process of a natural area, special emphasis is placed on oak savanna restoration…. 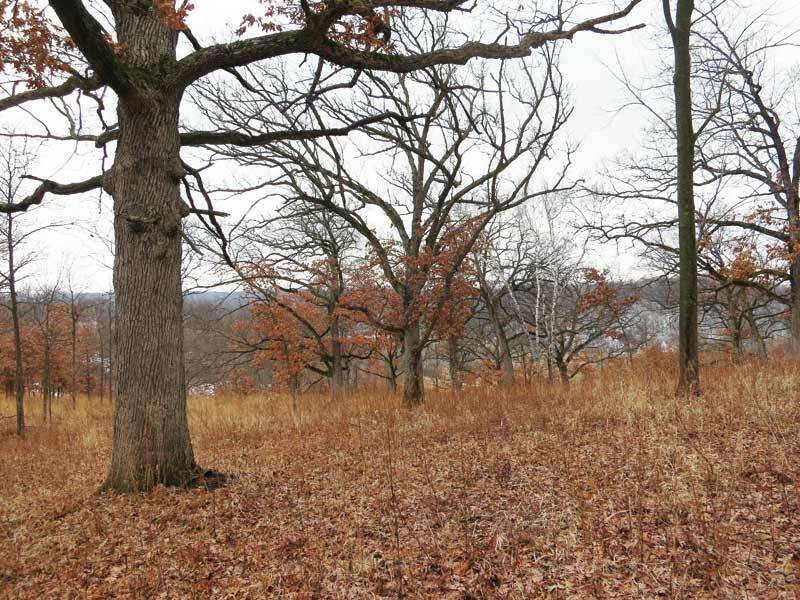 The oak savanna landscape is globally endangered. It was once widespread in Midwestern North America and has mostly disappeared due to human settlement. Pleasant Valley Conservancy is one of the rare examples of this landscape. The book is extensively illustrated with photos taken throughout the restoration process. 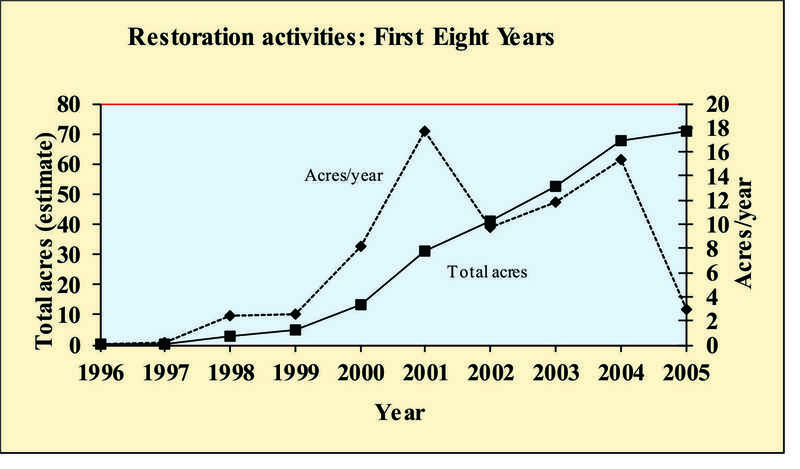 The field of restoration ecology is relatively new. Fortunately, southern Wisconsin is restoration ecology’s historic center, and the restoration work at Pleasant Valley Conservancy has greatly benefited from association with both university and non-university restorationists. The restoration community here is large and vibrant. The spirit of John Muir and Aldo Leopold lives! Most of the habitats at Pleasant Valley Conservancy are fire-dependent, and controlled burns have been a vital part of our restoration work. At one time or another, fire has been used in almost every part of Pleasant Valley Conservancy. Many of the habitats are burned annually. 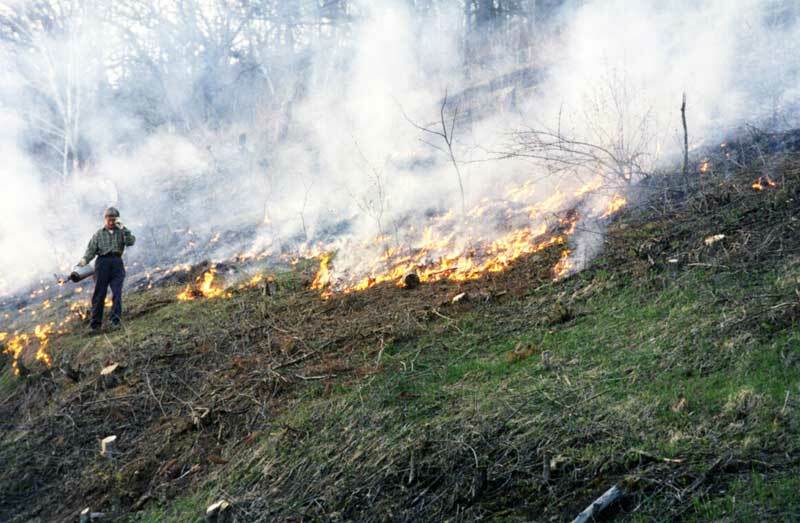 The completeness of a prairie burn is often determined by the continuity of the fuel. If the fuel is patchy, the burn may also end up being patchy. Some people think burn patchiness is a good thing. I have never agreed with this. Perhaps it was because we were trying to restore sites that had become heavily wooded (due to years without fire). 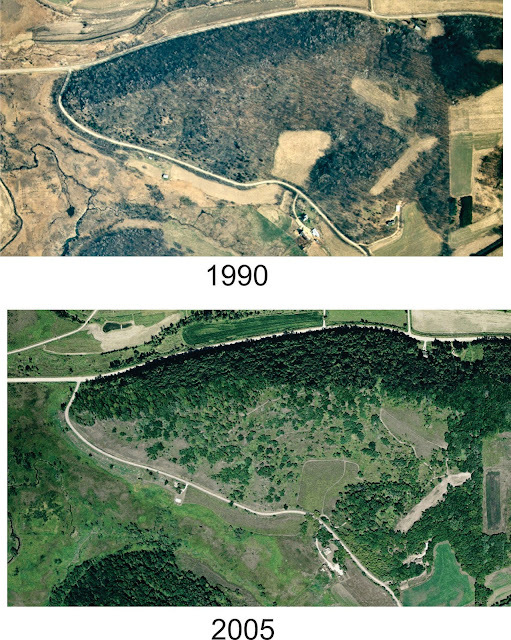 If good prairie was to be brought back to these sites, as soon as the woody vegetation was removed it was essential to get prairie established again. In order to do a proper prairie burn, the fuel had to be continuous. If it wasn’t, then the patches that did not burn had probably been wooded and without fire would quickly become wooded again. I’ve seen a burn crew leave a site which had unburned patches because they ran out of drip torch fuel. Always have lots more drip torch fuel than you think you will need. Perhaps it’s the microbiologist in me, but if I see small patches of sumac, or brambles, or scattered honeysuckles, I get really nervous. The burn did not pass through these areas for a reason (no fuel). Next year they would likely be worse. Heterogeneity of a burn is not a good thing if it is due to woody vegetation. It is also not good if it is due to smooth brome or quack grass or Kentucky bluegrass. Note that heterogeneity and diversity are two different things! The above refers to real prairie habitats. If the site has areas of wet meadow or shaded ravine, obviously those were not “meant” to be prairie. Heterogeneity then means something different. 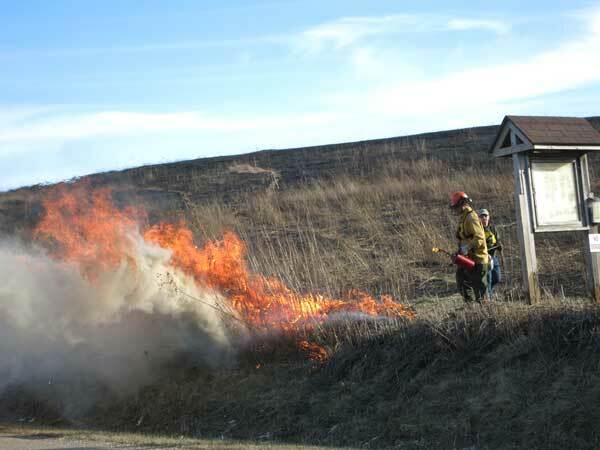 Forcing a recently cleared prairie area to burn. After frequent seeding and lots of burns, it turned into a tallgrass prairie (see below). The green patches are smooth brome, an exotic grass that develops in the shade. 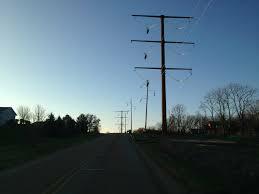 The American Transmission Company project has potential for great harm to southwestern Wisconsin ecologies and natural areas. Lots of opposition, but who knows what the Public Service Commission will do? I had a post back in 2016 when this proposal first came up. They have moved the right-of-way a few miles, but the main focus has not changed. This is an important issue for the Driftless Area, and lots of groups have become aroused. 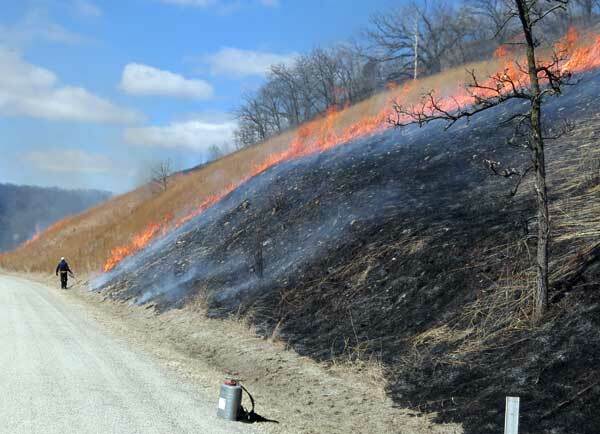 I’ve discussed the problems with fall prairie burns in our part of the country. So if fall burns are so difficult, winter burns must be impossible? 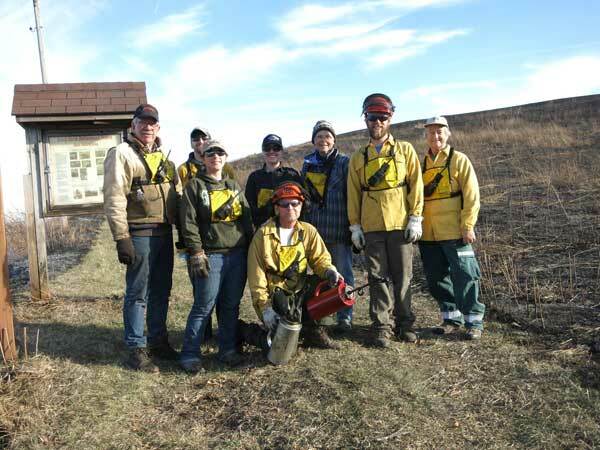 Yesterday (December 18, 2018) we had a very successful winter burn at Black Earth Rettenmund Prairie. How was that?? The November/December weather had not been good. No sun, mostly cold and cloudy, little snow, not much rain. We had given up doing any burns. But then, December 15-18 a dry air mass arrived, with dew point 20-22, clear sunny weather, strong south wind, and temperatures reaching the low 40’s (F) by noon. It certainly wasn’t Indian Summer, but we had burned with these sort of conditions last spring. Fire, of course, makes its own temperature, so if the fuel has good prairie grass and the dead fuel moisture content is favorable, it should burn. Fortunately, our burn crew was available. We decided to do it. Kathie had already mowed the fire breaks, so the prairie was ready to burn. The map at the end of this post shows the burn area. Amanda ran the burn. The weather continued favorable. We met at BE Rettenmund at 11:30 AM for a noon start. We had eight crew, all experienced, and one trainee. Because of the south wind, we started at the north end of the North Unit. One crew moved west and south, the other east and south. Each person had a radio, so the two crews could keep in touch. 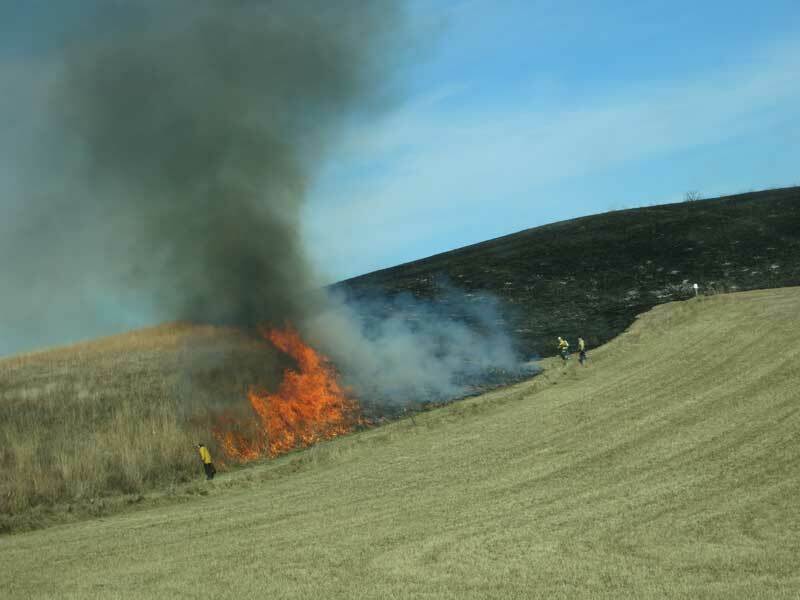 One problem with burning this prairie is that it is a long, narrow unit with two moderate hills that break up the wind. So a south wind is often a southwest or southeast wind, often at the same time on different parts of the burn unit. Fortunately, the prairie is surrounded on most sides by crops, which at this time of year have been harvested. The bare fields show well in the photos. The North Burn unit (on the right) is almost finished burning. The head fire at top will be coalescing with the back fire from the north. Jared is starting to light the Saddle. Kathie and Denny are preventing the fire line from creeping over the lane into the crop field. Creep was a problem and they had to monitor it the whole way. It is unlikely the field would burn, but it would be embarrassing if it did! Note the solid black burned unit. Burning the Fesenfeld Road embankment. The trail from the entrance is visible snaking up the hill. fuel of the remnant prairie above. 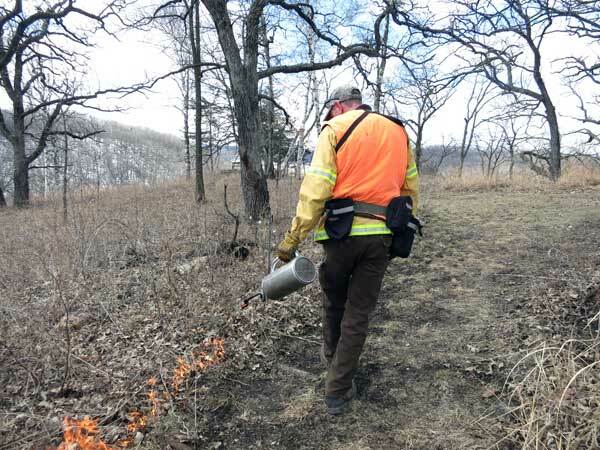 After the whole burn was completed, the crew returned to the North Unit and burned the Fesenfeld Road embankment, which is separated from the burn unit by the peripheral lane. Susan, Josh, Kathie. (Tom, who drove the truck, behind the camera).